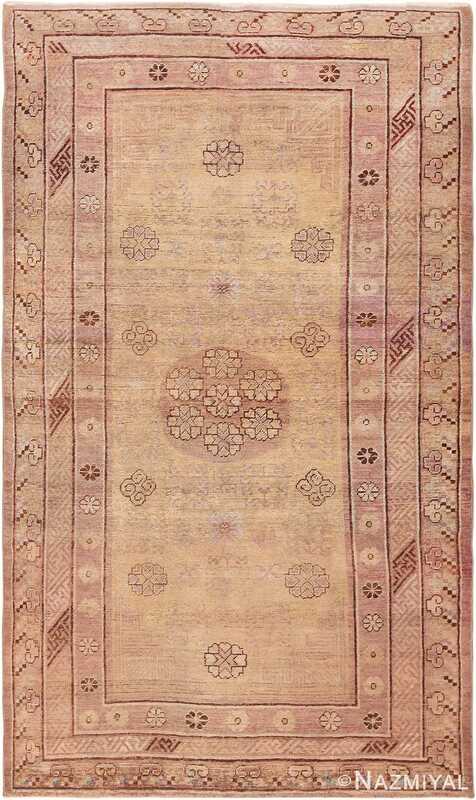 Rare Silver Metallic and Silk Thread Antique Khotan Rug, Country of Origin: East Turkestan, Circa: 1920 — Symmetrical and perfectly balanced, this antique Khotan rug is a beauty to behold. The background is done in a pale blush shade and framed with a thick border that features vine motifs and designs. The foreground combines sage, silver and tangerine with accents of sweet daffodil and hints of carmine red and mature navy. 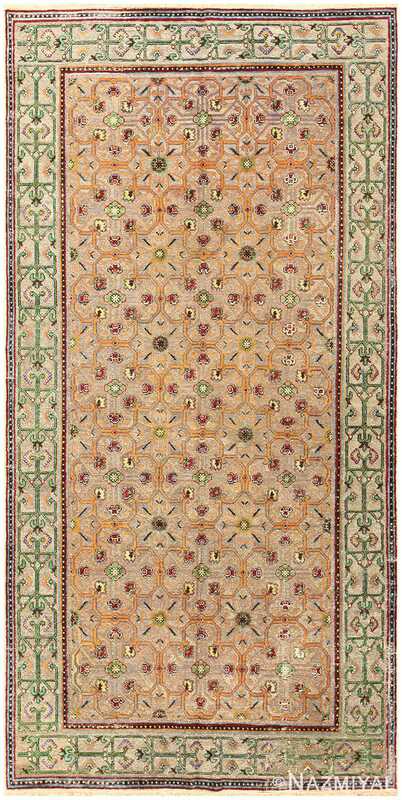 Clover-shaped medallions make up the focal area of this silver metallic and silk Khotan antique rug appearing in repetition across the field without interruption. 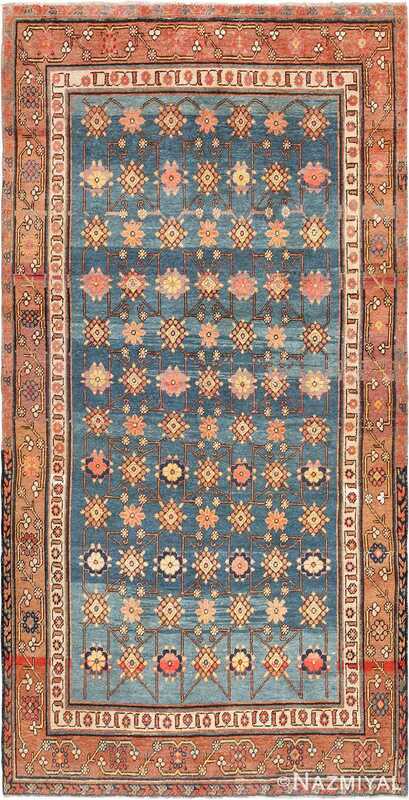 The eye flows easily over the carpet from top to bottom, allowing the viewer to fully and completely appreciate the artistic excellence and magnificent color palette of this rare and collectible antique Khotan rug. 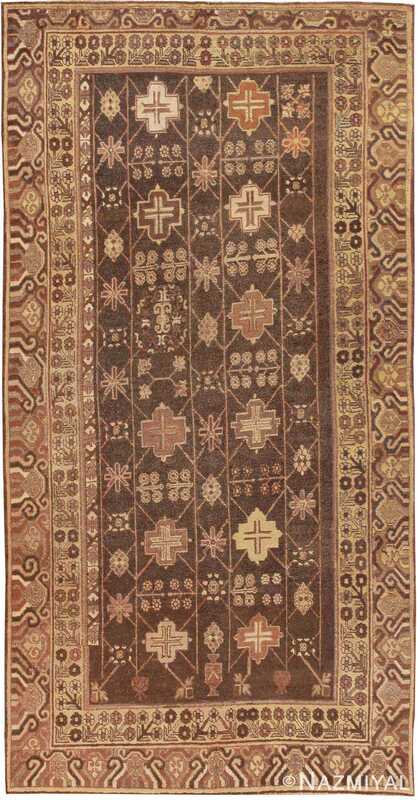 Produced along the Silk Road, antique Khotans like this blend the designs of middle eastern carpets with those of China.